W H A T I S F R E E M A S O N R Y ? 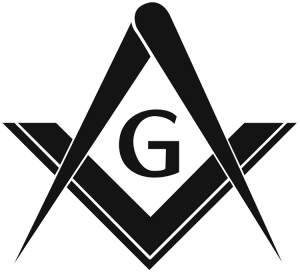 Freemasonry is the world’s first and largest fraternal organization. It is guided by the enduring belief that each man has a responsibility to make the world a better place. For 300 years, Freemasonry has enhanced and strengthened the character of individual men by providing opportunities for fellowship, charity, and the search for truth – within ourselves and the larger world. The mission of the Masons of California – to foster personal growth and to improve the lives of others – is carried out through Masonic principles and tradition. We value respect, freedom, kindness, tolerance, and our differences – religious, ethnic, cultural, social, generational, and educational – and strive for harmony in our individual lives, in our lodges, and in the global community. Relief is often thought of as purely a form of charity, but there is an even greater, all-encompassing meaning to relief in Masonry. There are additional reasons a person may be suffering, other than just financially. He may be lonely, or have work or family problems bringing him down, and helpful advice or simply someone to talk to may be all the relief that he needs. According to this tenet of Masonry, to relieve the distressed is an obligatory duty of all men. As Masons, we aim to sympathize, to console, and to restore peace to troubled minds whenever possible. We stay true to our personal code of conduct and ethics – honor, integrity, personal responsibility – and the continuous pursuit of knowledge. In Masonry, to be good and true is one of the first lessons. Masons must always endeavor for truth, both within themselves and in their interactions with others. Masonry demands high moral standards, and its members strive to uphold these principles in their public and private lives. Without truth, there would be no foundation for trust and fellowship. Overall, although many expanded definitions of the three principal tenets exist, at its center, the teachings of Freemasonry instill in its members a moral and ethical approach to life; and, as Masons, we must always strive for these values to guide us in our everyday lives. As a member of the Freemasons, the Grand Lodge of California, and Los Angeles Harbor Lodge No. 332, we are a part of a worldwide organization that values tradition, history, and timeless wisdom. The traditions and core values of our fraternity are meaningful today and will endure for centuries to come because of our direct impact in our community, through our charities, and on a personal level. 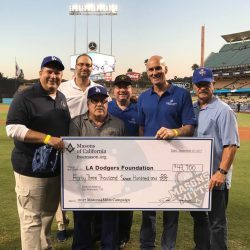 Through the Masons-4-Mitts program, the California Masonic Foundation partners with popular baseball teams to help underserved youth. Over the past nine years, the Masons of California have provided more than $600,000 in gifts to support under-resourced youth. 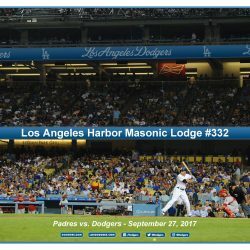 Los Angeles Harbor Lodge membership is open to men, 18 and older, who meet the qualifications and standards of character and intention, and who believe in a Supreme Being. Men of all ethnic and religious backgrounds are welcome. If you are interested in applying for membership to our lodge, now is a good time to start. Please contact us to schedule a visit during an event, or to request more information. Freemasonry is kindness in the home; honesty in business; courtesy toward others; dependability and honesty in one’s work; courtesy in society; compassion for the unfortunate; resistance to evil; help for the weak; forgiveness for the penitent; concern for good government; support for public education; and – above all – a life-practicing reverence for God and a love of fellow man. Freemasonry is many things but, most of all, Freemasonry is a way of life.